Area school students and community friends can learn more about American history when University of Houston-Clear Lake brings an exact replica of the Liberty Bell to be on permanent display at the university in the near future. The full-scale replica is being made by the original foundry in England and will be housed in a highly visible location in the university’s Bayou Building, 2700 Bay Area Blvd., Houston. Several national reports noting the decline in civic education propelled Benson into action. One report called “Crucible Moment: College Learning and Democracy’s Future” by the National Task Force on Civic Learning and Democratic Engagement under the leadership of the Global Perspective Institute Inc. and Association of American Colleges and Universities announced results that astounded Benson. He took his questions to administration and from there narrowed down his plan of action into four areas. These included developing courses of instruction specifically addressing the Constitution and the Bill of Rights that are appropriate for students as well as the general public and that emphasize the relevance of these documents; elevating UHCL’s Constitution Day celebration to make it more accessible to the community and to include participation from local organizations; facilitating educational partnerships with external institutions such as the National Constitution Center in Philadelphia and more; and, finally, make the Liberty Bell accessible to visitors, community members and other organizations. Several giving levels are available for those who would like to contribute to the UHCL Liberty Bell Project including a Declaration Level for those who want to give $10,000; the Foundry Level for those want to offer $5,000 and a Signatory Level for donors providing $1,000. The Sustaining Founder allows donors to commit to a monthly amount of their choice, while the Citizens Level is available for a gift of any size. Community friends and alumni may also honor an important female (mother, daughter, sister, aunt, etc.) by giving a $1,000 gift and becoming part of the “Belles of the Bell” giving group. 50 belles will be listed on a permanent installation signage associated with the bell. Benson and Antony think the bell will definitely strengthen future Constitution Day celebrations, which occur on Sept. 17. Both know that while the addition of the Liberty Bell replica is just a start when it comes to enriching the civic education of the area, it is an important beginning. “Our hope is that area schools will bring their schoolchildren to our university for field trips to experience history, a symbol of the country in which we live,” says Benson. To find out how to be a part of the Liberty Bell Project or to become one of the Belles of the Bell, call 281-283-2016 or email antonye@uhcl.edu. For more information, visit http://www.uhcl.edu/libertybell. 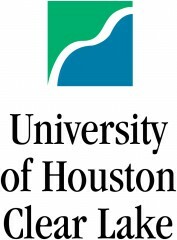 University of Houston-Clear Lake offers more than 80 undergraduate and graduate degree programs, including a doctoral program, from its four schools, which include the School of Business, School of Education, School of Human Sciences and Humanities, and School of Science and Computer Engineering. In 2011, the university gained approval from the state to add freshman- and sophomore-level courses to its roster and is currently planning for its first freshman class in fall 2014. For more information about the university, visit http://www.uhcl.edu.